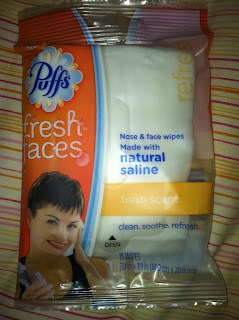 We recently received Puffs Fresh Faces for review, and we have enjoyed using them, especially while traveling! The light lavender was wonderful for relaxing and soothing my face after a stressful day. After a flight over over 2 hours, they are perfect for just refreshing your face. The box of 45 wipes were perfect for placing in my suitcase! The natural saline were kept in my purse, and I used them for times that I needed to clean my or my child's nose. 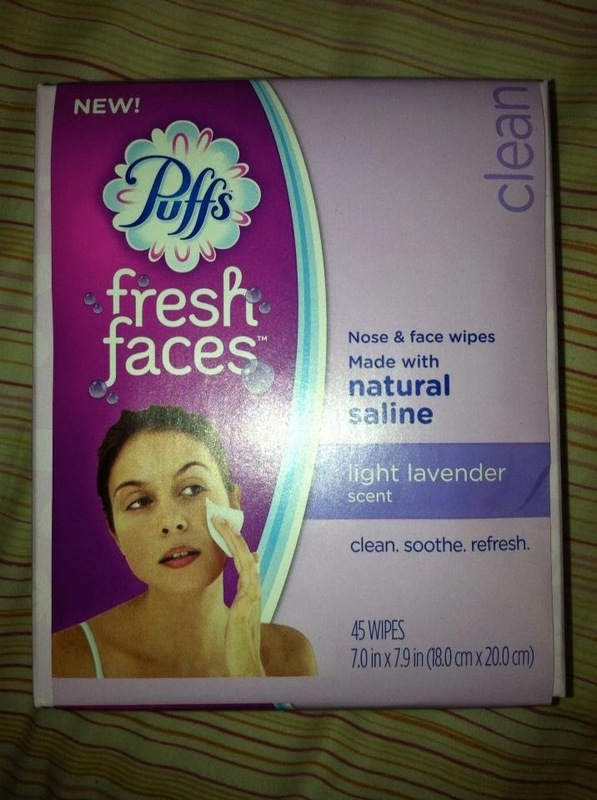 These are perfect for cold season, but also perfect for a face cleaning on the go. This convenient smaller packet is perfect for the purse or diaper bag. MamaBreak receive Puffs fresh faces products to review here on the site. We did not receive any other type of compensation. As always, our experiences and opinions are our own.